1. 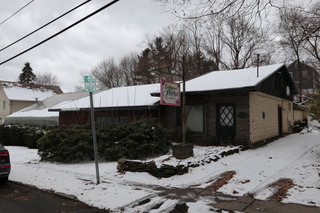 Otsego County acquired title to these properties in accordance with Article 11 of the Real Property Tax Law of the State of New York, and all known rights of redemption under said provisions of law have been extinguished by the tax foreclosure proceedings; and/or as a result of forfeiture. 2. For purposes of these Terms and Conditions, a parcel shall be defined as a section, block and lot number. 4. Notice is hereby given that the premises being sold may lie within an Agricultural District as designated upon the tax map. It is the sole responsibility of any bidder to ascertain which specific parcel(s) is so designated and sold subject to the provisions of law applicable thereto. 5. The successful purchaser shall execute the duration of the medical clinic lease as it currently stands. Prospective bidder(s) agrees to have had ample time to review clinic lease agreement available on auction website. 6. Bidder acknowledges receipt of the pamphlet entitled “Protecting Your Family From Lead in Your Home.” Bidder also acknowledges that he/she has had the opportunity to conduct a risk assessment or inspection of the premises for the presence of lead-based paint, lead-based paint hazards, mold, asbestos or any other hazardous substances. 7. All Bidders are advised to personally inspect the premises and to examine title to the premises prior to the date of the auction. Upon delivery of the quitclaim deed by the County of Otsego to the successful purchaser, any and all claims with respect to title to the premises are merged in the deed and do not survive. 8. No personal property is included in the sale of any of the parcels owned by Otsego County, unless the former owner or occupant has abandoned same. The disposition of any personal property located upon any parcel sold shall be the sole responsibility of the successful purchaser following the closing of title. 9. All informational tools, such as slides, tax maps, deeds, photos, auction listings, auction catalogs, auction signs, property record cards, etc., are for identification purposes only. They are neither a guarantee nor a warranty as to location, dimensions, parcel use and/or size, or anything else. 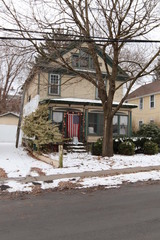 THE COUNTY, THE AUCTIONEER, AND THE BROKER MAKE NO WARRANTY EXPRESSED OR IMPLIED IN CONNECTION WITH THIS SALE, except that the County has complied with requirements of New York State Law regarding the Tax Foreclosure proceeding. All real property, including any buildings thereon, is sold “AS IS” and without any representation or warranty whatsoever as to the condition or title. Representations and property descriptions contained in the auction brochure, or website, or made verbally prior to or during the auction, are for informational purposes only, and should not be relied on by any bidder. Bidders are urged to personally inspect every property that they are interested in bidding on. 10. The County of Otsego reserves the right, in its sole discretion, to withdraw from the auction any of the properties listed on the schedule of real property, at any time. The County Treasurer, or Deputy County Treasurer, has sole discretion to make decisions concerning the conduct of the auction, prior to and during the auction, including, but not limited to the method of sale for each parcel or groups of parcels. 11. All bidders are required to register and provide suitable personal identification prior to the auction. Auctioneer reserves the right to decline registration if identification is not sufficient. Individuals acting on behalf of others, not in attendance at the auction, must produce a “Power of Attorney” duly executed and notarized. Incorporated entities (Inc., Corp., LLC., etc.) are required to provide AT REGISTRATION: 1) a copy of the state entity incorporation filing receipt, 2) EIN number and 3) a corporate resolution duly embossed with incorporation seal authorizing the registrant to purchase real property for said entity. 13. In the event the bidder fails to pay the required deposit at the auction, or the bidder/purchaser fails to consummate the closing of title after the auction, and, in either event the County re-sells the property but receives a lower bid, then the County shall have a cause of action against the defaulting bidder for money damages for the difference. 14. The terms “bidder”, “highest bidder”, and “successful bidder” shall all have the same meaning. 15. Successful Bidder shall provide information necessary to complete and shall execute the necessary forms and documents required for recording the deed in the Otsego County Clerk’s Office. The bidder executing the auction terms and conditions of sale may not assign or otherwise transfer his right to complete the bid, unless the County agrees in writing. The deed prepared will be in the name of the successful bidder (and spouse) only. No third-party bidding will be accepted, unless the bidder identifies that he is bidding as an agent for a disclosed principal, or unless the bidder is a lawyer. 17. The Successful Bidder will execute an Offer to Purchase form immediately upon being declared the high bidder will bind the bidder only and the County reserves the right to reject any bid prior to the closing of title and the recording of the deed. 18. The Successful Bidder shall be responsible for the payment of an eleven percent (11%) buyer’s premium (1% buyer’s premium discount for cash or other guaranteed funds) in addition to the accepted purchase price, an advertising fee of 1.5% of the bid price, and the closing fees/costs. The “buyer’s premium” is the fee/commission earned by the auctioneer. Accepted purchase price is the amount bid by the highest bidder, which has been approved by the Otsego County Treasurer. 19. The buyer’s premium shall be paid as a down payment on the day of the auction. All deposits must be made in credit card (Master Card, Discover Card or Visa), cash or guaranteed funds (bank check/teller check/cashier check) payable to the “Otsego County Treasurer” and drawn on banks insured by the Federal Deposit Insurance Corporation (FDIC). No exceptions. Wire transfers will not be accepted. 20. All closing costs will be due and payable at closing, to wit: (a) New York State Transfer Tax [$4.00 for each $1000.00 of the purchase/bid price]; (b) Filing Fee for the Real Property Transfer Report [$125.00 if the parcels classification code is 100-199, 200-299 or 411-C; $250.00 for all parcels otherwise classified]: (c) Filing Fee for combined Gains Transfer Tax Affidavit [$5.00]; (d) all fees required by the Otsego County Clerk for recording of the deed [$45.00 to record a one page deed; $5.00 for each additional page]; and (e) a $20.00 surcharge. Closing costs may be subject to an increase in fees as required by law, without notice. 21. The Purchaser(s) paying by credit card(s), understands and agrees that all deposits collected by credit card(s) will be turned over to the Otsego County Treasurer. The Purchaser paying by credit card(s) agrees that they shall NOT attempt a charge back on their credit card(s) used in this/these transaction(s) for any reason whatsoever. In such event that a charge back is initiated by Purchaser and that such attempt is upheld in favor of Auctioneer/Otsego County, Purchaser agrees and authorizes to compensate Auctioneer with a $750.00 recovery fee as a new charge to their credit card(s) without requiring additional Purchaser signature(s). Failure to pay such recovery fee will result in collection action against said Purchaser(s). 22. All bids shall be subject to approval by the Otsego County Treasurer, which shall have the right, in the Treasurer’s sole discretion, to reject any bid for any reason whatsoever. 24. Purchasers of residential, improved properties will reimburse the County $50.00 at the “closing” in those cases where the County has installed smoke alarm and carbon monoxide detectors. 25. All parcels for which you are the highest bidder must be paid pursuant to these Terms. There will be no selective closings. Failure to remit full payment on all parcels for which you are the successful bidder will result in a forfeiture of all monies tendered, and you will not be permitted to close on any other parcels for which you were the successful bidder. 26. If a Successful Bidder owes any delinquent taxes to Otsego County, those delinquent taxes must be paid in full prior to closing on any purchases made at this auction. Failure to comply with this provision will result in the forfeiture of any deposits paid. 27. If the successful bidder fails to tender such amount due by the close of business on June 10, 2019, then the County may, but is not obligated to offer any unsold property to the second highest bidder. All terms and conditions for the sale set forth herein above shall apply to the second highest bidder and/or any other purchaser. 28. In the event that a sale is cancelled by court order or judgment, the successful bidder shall be entitled only to a refund of any deposits paid. If the bid is rejected by the Otsego County Treasurer, any refund will be returned without interest. Purchasers agree that they shall not be entitled to special or consequential damages, attorney’s fees; reimbursement for any expenses incurred as a result of ownership, improvements made to the property or for taxes paid during period of ownership. 29. All sales shall be final, absolute and without recourse once title has closed and the deed has been recorded. In no event, shall Otsego County and/or Absolute Auctions & Realty be or become liable for any defects in title for any cause whatsoever, and no claim, demand or suit of any nature shall exist in favor of the purchaser, its heirs, successors or assigns, arising from this sale and conveyance. 30. Conveyance shall be by quitclaim deed only, containing a description of the property as it appeared on the tax roll for the year upon which the County acquired title or as corrected up to date of deed. The deed will be recorded by the County upon payment in full of the accepted purchase price, buyer’s premium, and closing fees/costs. POSSESSION OF PROPERTY IS FORBIDDEN UNTIL THE DEED IS RECORDED WITH THE OTSEGO COUNTY CLERK CONVEYING TITLE TO THE PURCHASER. TITLE VESTS UPON THE RECORDING OF THE DEED. It is agreed between the County and the purchaser that delivery and acceptance of the deed occurs upon recording of the deed. 31. A quitclaim deed issued as a result of the auction shall contain the following provisions: (a) “Nothing contained in any description herein is intended to convey more than the assessed owner owned at the time of the levy of the tax, the non-payment of which resulted in the tax sale. There is no representation as to the extent of the acreage conveyed herein; (b) Excepting and reserving for highway purposes a strip of land parallel to and extending twenty-five (25’) feet from the center line of any county road abutting the premises conveyed and excepting and reserving all the right, title and interest of the County of Otsego in and to any portion or interest of the lands being conveyed, which interest was heretofore acquired other than pursuant to the provisions of Real Property Tax Law of the State of New York; (c) If the lands being conveyed herein (by the County of Otsego) do not comply with local zoning ordinances and/or are not suitable for construction of a conventional water and/or septic system and are contiguous with lands owned by the party of the second part, the lands described herein shall not be conveyed without also simultaneously conveying the contiguous lands owned by the party of the second part to the same grantee, unless the planning board approves the sale in a different configuration. This restriction will run with the land. Whenever required, the abandonment provisions of the real property tax law shall be used (Section 560 RPTL); (d) If the former owner is the grantee herein or acquire the property within thirty-six (36) months subsequent to the date of the auction, then all liens that were of record when the County took title will thereby be reinstated, automatically by operation of law”. 32. Evictions, if necessary, are solely the responsibility of the successful purchaser. 33. The successful purchaser on each auction parcel must remove the auction sign within seven (7) days after the recording of the deed.